(This survey should take approx 5 minutes to complete). 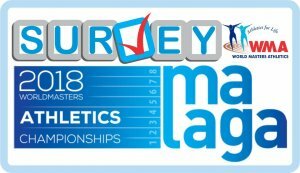 We thank you in advance for taking the time to complete this survey about yourself and your experience at WMA Championships. The information gathered here will help us tremendously in our future marketing direction for WMA. Please note: this survey is completely anonymous and no individual data is kept or captured at any point. So please fill in only once. Please put a cross (X) in the appropriate box, or insert the required answer.